True Street sparks controversy… racing this weekend! 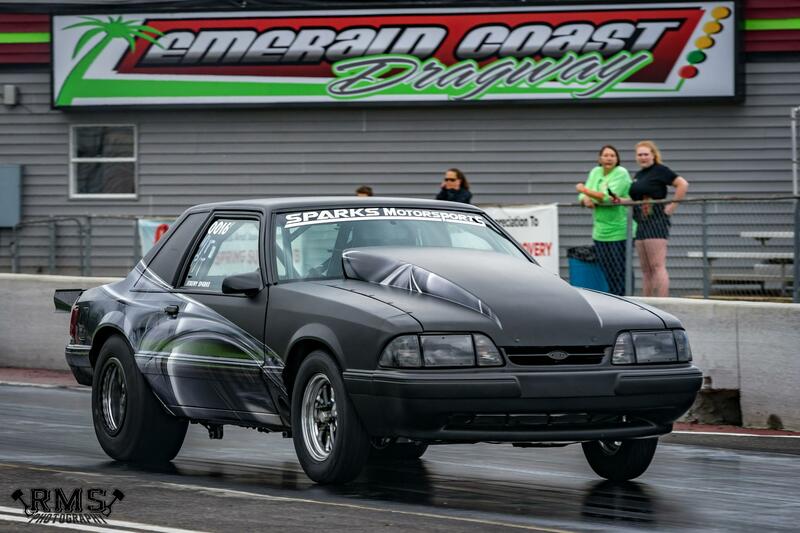 The wildly controversial True Street (TS) class will be racing this week as part of the South Coast Heads Up Series at the Emerald Coast Dragway. There are many organizations running this class, each with their own spin on things but what it boils down to is that a competitive true street car is more often than not a wolf in sheeps clothing. It’s often argued that a true street car should be limited to a daily driver type car with some bolts on and maybe a different set of tires but that ideology couldn’t be further from the intent of the spirit of the true street class. Many heads up race cars have solid engines with no means of cooling, light weight lithium ion batteries and no alternator and tiny fuel cells, these amenities keep the engine cooled, powered and fueled for the duration that the car needs to run to complete an A-B pass down the drag strip and that’s about it, otherwise requiring to be towed to the starting line and off the end of the track. This is where a “true street” car differs from a typical heads up car in the fact that not only per the rules but in order to complete their required 30 mile cruise they have to have water cooled engines with radiators and fans, heavier AGM or lead acid batteries with alternators and enough fuel to complete the cruise and pull directly into the staging lanes ready to race. Jeremy Sparks (pictured), currently #5 on the 850 Top Ten list in the true street class, intends on bringing his true street car out this Saturday to put a hurting on the true street class. Often disputed but meeting all popular versions of the true street rules, Spark’s 3400lb 91 Fox Coupe is road worthy, street legal and “while not considered a daily driver, it is a 100% streetable car”. Think you got what it takes to take on the true street class? Show up this weekend and find out, gates open at 10AM, track hot throughout the day weather permitting and eliminations into the evening. The true street class is a $50 entry with a guaranteed $1000 purse and bragging rights up for grabs.